The Father’s will for you – his whole will, his entire plan of salvation – is that you believe in Jesus, nothing more. He has already forgiven you, he has already reconciled you, he has already raised you up together with Jesus and made you sit together in heavenly places with him. And better yet, Jesus himself has already pronounced upon you the approving judgment of having done his Father’s will. But if you do not believe him – if you insist on walking up to the bar of judgment on your own faithless feet and arguing a case he has already dismissed – well, you will never hear the blessed silence of his uncondemnation over the infernal racket of your own voice. “He who argues his own case has a fool for a lawyer” is true in any court. But in this court you will be more than a fool if you try that trick. You will be an idiot. There is no case. There is no evidence against you. And there is no courtroom to display your talents in. It is all quashed, all over but the fun of having an eternal drink with the Judge who makes Harry Stone look serious. This is the Gospel as Night Court. All you have to do is hoist your glass and say, “Yes, Judge. Cheers! Skal! Salute! 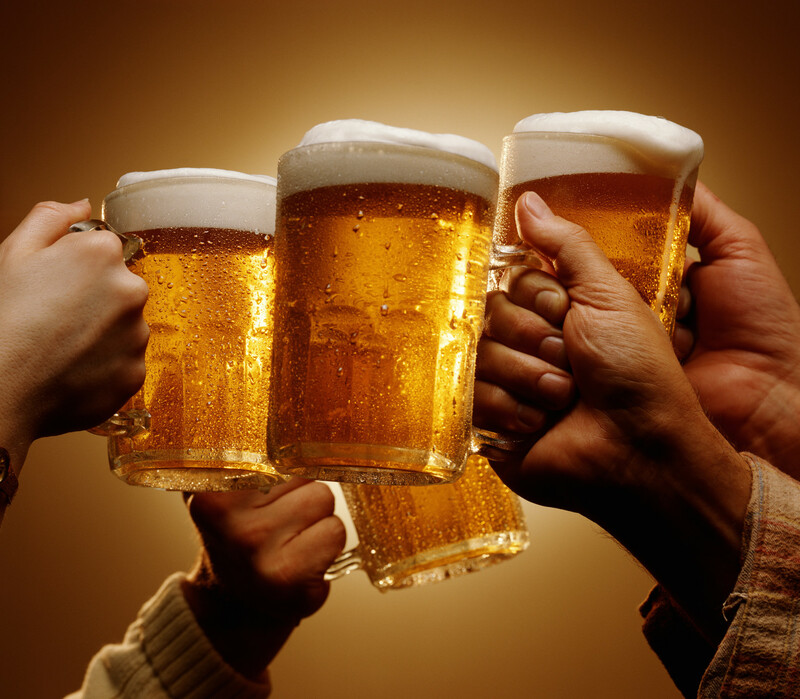 Ein Prosit! Bottoms up!” The whole thing, you see, stands forever on its head: the last shall be first – just for believing. I’ve been attending in2 Crosswalk for about eight months now. (By the way, if you’re looking for a church with a friendly congregation, many ways to get plugged in, and a pastor who’s a preacher-poet, come visit us!). During that time, I’ve spent many weekdays and weekends in the greatest city in the world. I love so much about New York City- how there’s so much to explore and do, how there’s so much energy and buzz (I love people watching and I actually enjoy loud crowds and tight spaces), and of course, the FOOD. But NYC certainly has its foibles. One night, while walking around the East Village after hanging out at a bar, one of my crazy bros decided to perform a trust fall directed at me. His attempt startled me, causing me to freeze. This pause unfortunately created a domino effect in which I staggered backwards into a man who was clearly in a rush. He promptly yelled obscenities at both of us, and another guy joined the sneering. My friend muttered something under his breath, certainly not anything hostile, and the first guy stopped, turned on a dime, and menacingly asked: “What did you say?” My friend replied, “Just… Have a nice night.” “That’s what I thought,” was the man’s final words as he whisked around and continued to walk quite briskly. When I think about my church, and I think about New York City– especially with most of us coming from a Korean performance-based and shame-based culture, I think to myself: Man, life must be exhausting. Life must be tiring. So many of us clock in so many hours at work and/or at school. We encounter rudeness, anger, selfishness, and insensitivity on a regular basis. Everyone is pushing us out of the way as they’re all in a hurry to achieve something or make much of themselves. Also, my main prayer for my congregation has taken aim at another paradox. New York is so full of people everywhere, by day or by night. So when we see all these busybodies, and yes, when we see all those couples and lovebirds, the final equation is that our sense of loneliness only increases. It’s like the phenomenon in which one spends time on social media and gets depressed because he or she erroneously concludes everyone else is having a blast. That’s New York City, even if you walk around for just an hour. And the end result of the all the rudeness, selfishness, self-actualization-chasing, and loneliness is… Jadedness. Cynicism. Disillusionment. If not in all areas of our lives, we struggle with a hardened heart in at least one area: Our jobs and our bosses. Our romantic life, or lack thereof. Our parents and siblings. Our relationships with and our suspicions toward people, perhaps especially in the Church. All this jadedness robs us of joy. So we must be ever vigilant, and fight for joy and against any hardening of our hearts. I do the same. I take prayer walks– not just to pray for myself and others– but to ask myself, “How am I doing?” I use this time especially to sort out any signs of discouragement and disillusionment in my life; I take inventory of all arenas of my heart. If there is something especially pressing down on me, I journal and write it out so that I can see what I’m feeling. The key point here is to not let negativity linger. Whenever I see my heart even leaning in the direction of jadedness (i.e. when someone is rude or unfair to me, or when I’m sad and experiencing any kind of pain), I immediately look to stand against it. We need each other. I am so grateful for my many friends who have helped me process my heartbreaks and fears through the years. Whenever I was rejected by a romantic interest, I would fight against the temptation to wallow and isolate myself. Instead, I would share it with my friends, even while feeling ashamed that there were hearing the same old story. There is power in processing with others, even if they’re just listening and not giving advice (in fact, this is actually better than giving advice in such situations). You realize new things as you talk out loud about your issues and problems, things you would not have conceived if you kept it bottled within. Processing and sharing are not one-time things. They must be done again and again. I take another walk. I journal again. I tell my friends one more time, even though I sound like a severely broken record. There was one time I was particularly broken up about being rejected by a girl. She was someone I was close to, and it was killing me that I still wasn’t feeling better two months after she said no. I knew what I had to do. I asked a friend for help; I asked her, “What’s wrong with me?” She did give me good advice, mainly that I need to just be patient with myself. I gained much by attempting to process the pain once again. It is a joy and wonder to know that there are people who really do care for you. They are willing to help carry your burdens, even if it feels like you’re bothering them time and time again. It’s not the same old story to them, and therefore not to me either. I wonder how many of us miss out on this sorely-needed blessing because of our pride and fear that prevents repeated vulnerability. This wonder of being accepted just as you are is indispensable in our battle to thaw out all the hardheartedness. Ah, yes, like I wrote yesterday. If we know that we are Kichijiro, in constant need of forgiveness, and freely able to ask for and receive it… We have discovered the only tried and true pathway to joy. The only thing that disqualifies us from the grace of God is not admitting our need for it. It’s choosing to hold on to our anger and pride and disillusionment and how we’re victims of unfair treatment, and wearing them as badges of honor, even knowing it steals away our joy. It’s refusing to process them, or being unwilling to look weak by sharing them with others. But it is in the weakness of processing, sharing, repeating, and remembering God’s grace and forgiveness where we find the strength to fight on against jadedness and for joy. So I encourage us all: Keep fighting. Don’t give up. It’s worth it. About two months ago, I watched the movie Silence. This Martin Scorsese-directed flick takes place in the 17th century, when the Japanese government ruthlessly persecuted Christians. The government discovered an ingenious way to put down the Church. First, the inquisitors killed Christians; but they soon realized that method only served to inspire the Church due to the martyrdom effect. So instead they forced Christians to step on a fumie, usually a stone creation which featured a picture of Jesus or the virgin Mary. The government especially targeted Catholic priests and gave them an impossible choice: They must either step on the fumie, thereby apostatizing and losing their status as a Father, while sharply discouraging their following. Or else, they will continually witness the torturing and even killing of said following. This quandary propels the plot in Silence as Father Rodrigues (played by Andrew Garfield) is torn between the two options. I want to focus on another character in the novel and movie. He’s a tragic figure named Kichijiro (Yosuke Kubozuka). He grows up as a Christian. But during this time of persecution, he steps on the fumie, which causes his fellow believers to shun him. And yet he keeps trying: He discovers Fathers Rodrigues and Garupe (Adam Driver) and helps them find refuge in a Christian village. During that time, he approaches Rodrigues, and says, “Father, I must confess my sins.” Father Rodrigues faithfully provides the opportunity for Kichijiro to receive forgiveness. But soon enough, Kichijiro’s true colors show as he sells out the two priests to the government for a few silver coins (remind you of anyone?). Still, he finds Rodrigues in the prison camp, bows before him, and implores with clarity: “Father, I must confess my sins.” After he receives forgiveness– in literally the next scene– we see Kichijiro running naked out of the camp, free to go because he has stepped on the fumie again. My Union Square theater-watching companions groaned each time Kichijiro betrayed God and his people, and snickered when Kichijiro repeated the same request before Rodrigues. Kichijiro is my favorite character in Silence. The Catholic way of confession aside, he understood that because of Jesus Christ’s death on the cross, there is always forgiveness available. It doesn’t matter the depth, or length, or hideousness, or the number of offenses committed. There is always grace available, no matter what we’ve done, no matter how bad or unfaithful we’ve been. There are still many of us today, even those who grew up in church, who struggle with how truly forgiven we are. Some of us believe the lie that we are beyond repair, beyond redemption. We hope that we’ll survive, but we think we’ll never thrive. So we settle for a mediocre Christian life, or we spend energy trying to run away from God because we’re afraid and ashamed of what we’ve thought, what we’ve said, what we’ve done. Have we actually thought about what this verse is saying? At first glance, this is what 1 John 1:9 should say: “If we confess our sins, God is kind and merciful… and will forgive us our sins and purify us from all unrighteousness.” If you and I are guilty of a crime, the last thing we would want is for the judge assigned to our case to be faithful and just. So why does the apostle John choose these two adjectives? He chooses faithful and just because he’s highlighting the point– if you and I are in Jesus Christ, and thus believe that Jesus died for us, and we admit our need for his grace– then, it would be unfaithful and unjust of God to not forgive us! The relationship that God invites all of us to, one in which we receive full forgiveness and grace time and time again, is marked by His choice to bind Himself to this covenant. Kichijiro and each of his scenes do serve as measure of comic relief in the movie. And when we know the power and depth of God’s grace, and receive a fresh start day after day, we also laugh at the hilarity of it all. We laugh at how ridiculous it is that we’re so wicked and depraved, and yet so loved, accepted, and forgiven. We guffaw heartily at the scandal of grace. And there is joy, all the day long. On Sunday, I bestowed the privilege of watching a seminal bro film. My younger bro was only three years old when Swingers debuted on the silver screen in 1996. Thus, it was mandatory for me, as a caring older bro, to show him this timeless classic. I’ve watched Swingers so many times. It’s a movie that holds a special place in my heart because I eminently relate to the main character, Mikey (played by Jon Favreau), who’s taking forever to recover from a broken heart. With the encouragement of his buddies (played prominently by a young Vince Vaughn and Ron Livingston), Mikey tries to pick up girls at parties and bars, but he fails constantly, usually spectacularly. If you’ve watched the movie, you know that there are fewer cringe-inducing scenes than when he interminably leaves messages for Nikki (Brooke Langton). You sympathize with Mikey’s loneliness and desperation for companionship even as you shake your head at his complete lack of cool and game. One theme jumped out at me as I re-watched on Sunday night. In his earlier interactions, Mikey is always trying to prove himself: He wants the ladies to know that he now has an agent, and he pretends that his comedian career is taking off and that he’s busy all the time. The continual fronting painfully reminded me of many of my first dates (usually as a result of online dating) when I always tried to put my best foot forward and sought to frame my job and career in the most positive light possible. Thankfully, there was no aspiring model or actress who asked me what kind of car I drive. It’s all so exhausting. I once was an online dating addict, but I’m happy to say that I’ve been Coffee Meets Bagel-free for almost six months. There are still times when I notice that it’s noon, and I’m relieved that there’s no bagels to check. Don’t get me wrong: I encourage online dating and I celebrate the couples that I know have originated from it. I have simply concluded that it’s not for me anymore, and it’s been so liberating not having to do any more framing. Fast forward to the end of Swingers. With Big Bad Voodoo Daddy playing in the background, Mikey meets Lorraine (Heather Graham). Lorraine is the one who makes a move first, asking Mikey to dance. After they swing dance up a storm, totally hitting it off, he walks her to her car. And what I love about their interaction is that Mikey is honest with her. As he hands her his business card, he admits that his career isn’t so hot. Because Mikey senses that Lorraine is already interested in him, he is free. Free to be vulnerable. Free to be modest. Free to even be weak. Those vibes that Lorraine throws at him make all the difference. Now, I’m not suggesting that women should take the lead, and I’m certainly not a guy who’s qualified to dispense any dating advice. But Mikey’s evolution did remind me of the gospel. The gospel tells us that if we believe in Jesus, we are deeply loved and completely accepted as we are. We don’t have to pretend to be something that we’re not. We don’t need to act like we have it all together and that our lives are on this perfectly secure path. We don’t have to exaggerate or tell fake stories about ourselves. As the opening credits of Swingers roll, Dean Martin croons, “You’re nobody ’til somebody loves you.” Thank heavens that in Jesus Christ, we are deeply loved and validated by Somebody. He’s not so interested in what kind of car we drive. He loves us as we are, flailing job and career and all. And he’s ever pursuing us. As I read in a book last night, “God always gets the girl.” That is, His people. Because of God’s great love, we’re all so money, whether we know it or not. Hat tip (and recommended supplemental reading): This Mockingbird piece. I believe in making New Year’s resolutions. I know the shelf life of a resolution is usually a month, perhaps even less. But there’s value in resetting our priorities and seeking to live a more fruitful and purposeful life in the year ahead. So usually in December, I begin sketching out ideas and practices that I want to commit to for the new year. By the time January 1 rolls around, I usually have 5-7 resolutions, or working principles, that I wish to incorporate in my life. But what I’ve discovered is that the best resolutions I’ve made at the beginning of a new year are the unplanned ones. Two years ago, as 2015 started, I weighed in at 181 pounds. Of course, I had tried to lose weight before, but abjectly failed time after time. However, during the first week of January, I simply started eating less. It wasn’t by design; it just happened (I’ll go ahead and credit God’s sovereignty, because, well, God is sovereign). That week, I ate one slice of pizza for lunch instead of two. I even simply ate just mixed nuts for dinner when I wasn’t too hungry. At week’s end, I saw the results, plain as day: I had lost three pounds. A light bulb went off in my head. You mean that if I eat less and consume less calories, I actually lose weight? I know, it’s a brilliant observation. Thus, a new resolution was born: Eat less. And by the end of March, I had dropped 17 pounds. Sadly, I’ve stayed around 164 since, despite wanting to get down to at least 155. One day. When I tell people this story, I always emphasize that it was dumb luck (and God’s grace). I didn’t set out to lose weight. But deep inside, I knew something had to change, and at last, I employed the right means to do it. On January 2 of this year, I decided to give up social media for the day: No Facebook, no Instagram, no Twitter. I’m planning to do this once a week. For the longest time, I’ve known that Twitter is the death of me. We live in an instant society where we always want to know the latest, and Twitter feeds that beast so well. I load up my Tweetdeck, and constantly scan multiple feeds (including personally curated lists regarding baseball, college basketball, and money). I shudder to think how much time I’ve wasted on that platform. So on that day, I realized how much happier I was to be off Twitter. I just felt more fully present and less distracted. Even while watching a comedy on TV, I enjoyed it more and guffawed more appreciably because I wasn’t on my phone while watching it. There was also much less instinct to check my phone throughout the day. All along, I’ve realized that I don’t need to check it. What do I need breaking news for? I’ll find out soon enough. And at least on Facebook and Instagram, the people I follow are actually people I know! Most people I follow on Twitter, the sports reporters and fellow fans of the New York Mets and Georgetown Hoyas, are not people I have actually met. So yeah, no Twitter in 2017. I admit, I’ve checked it a couple times just to see people’s reactions (i.e. the Hail Mary catch in Packers-Giants game). But as a daily practice, it’s been gone, and my life is all the better for it. The key, of course, will not be to simply replace it with more time on Facebook and Instagram, or reading articles on ESPN.com, or shopping on Amazon. But hey, one step at a time. Thank you to all who wished me a happy birthday, whether it be in person via 3 epic celebrations in 4 days, via text message or Kakao, via email, via shoutout on Instagram, via writing on my Facebook wall. So much can change in one year. Last year at this time, I thought I’d soon be in the promised land of sunny, southern California, getting my tan on at the beach and eating authentic tacos and Korean BBQ nonstop. But alas, that didn’t come to pass. This year, my girlfriend and I broke up on good terms in February. In June, I stepped down from a church I was serving at for 3 years, and chose not to do another ministry even though I was offered. I’ve been working for the last few months, uncertain of what the future holds, whether it be at my current job or future ministry. The stability that I thought was surely mine in terms of romance, job and career, and finances proves continually elusive. 2016 has been a year of loss. I love the people I work with, from my colleagues to my bosses, and I’m excited for the growth potential at both companies. I had a joyous summer teaching high school students, and finally got to go on that baseball road trip that I’ve always wanted to do. God led me so quickly to find an amazing church and I soon made new friends, young and old (but especially young), enjoyed my small group with amazing leaders and a loving hostess, and I’m excited for the ministry opportunities that lie ahead there. I’ve always regretted not spending enough time in NYC throughout my life (even as a Columbia student, I rarely saw the city, playing too many video games instead), but now I’m in the city about three days a week, walking around and exploring all the parks, restaurants, markets, museums, and bars. And of course, there’s my family who all live close by, so we can see each other regularly. And there’s my close friends who have been there for me all year long and walked with me through the many ups and downs (you know who you are). 2016 has been a year of gain. I’ve realized: This is my promised land. Thanks be to God and the abundance of spiritual, material, and relational blessings he pours out upon me. Because of His effectual grace, I’ve already arrived. I will enjoy the last days of 2016, but I can’t freakin’ wait for all that God has in store for me and those around me in 2017. What Children Teach Us, Part II: Celebrate! It had been a while. But when I was at my friends’ place on Sunday night, I highly anticipated it as my friend and I got beers and clinked our bottles together. We said “cheers,” which promptly sparked what I was hoping for. When I sit for food and/or drink at their place, their precious 2-year-old daughter will join us and shout, “Cheers!” as she extends out her drink (usually milk). She’s obviously observed us during our frequent imbibing of alcohol, and now follows suit, cheer-fully. I smile every time I hear her exclamation in my head. We say “cheers” and unite our bottles and glasses as a ritual, stating that we’re glad to be enjoying something tasty (and perhaps tranquilizing) as one. But truthfully, every moment of life is meant to be celebrated, and celebrated together. Many of us know this passage in the NIV. But one reason I love The Message is that it functions as an elucidating translation. Often times in the past, I’ve read one translation and wondered what it really meant. And then I’d read the MSG, and find what I was searching for. And it would be accurate; Eugene Peterson really did a great job with it. What I realized while reading the MSG translation of the verses above: Our rejoicing, our celebrating, our constant reveling in God and in life, makes us contagious. When there is a pure and ever-flowing wellspring of joy coming out of us, people take note. There is a clear connection between the rejoicing in the Lord of verse 4, and the gentleness that is evident to all in verse 5. Rejoicers and celebrators make for great witnesses of the truth of Jesus, who for the JOY set before him (read: you and me, his people), endured the pain and suffering of the cross. Taking time out to consistently celebrate softens others’ hearts and gives them a glimpse of the glory of God. I have a friend who finished a big project recently and would now have to wait for about 45 days on the results. When she finished, I texted her, “Let’s celebrate.” Her reply: “I’ll celebrate after the results.” And I’ve told her, that’s the wrong way of thinking! We need to take time each hour, each day, celebrating, savoring, enjoying any accomplishment, any moment of beauty. I’ve always looking for any excuse to rejoice. When I finish a book. When I finish a chapter. When a student demonstrates that he or she actually learned something from me. When a student simply behaves. When the work day goes well. When the work day is simply over. When I see a bright blue sky. When I feel soft rain. When I enjoy good time with friend(s). When I get home safely from said time. When my sports team wins. When I don’t cut myself while shaving. When I sleep really well. When I listen to good music. You get the picture. We are meant to celebrate together. It’s common knowledge among my friends that I love to celebrate my birthday (Countdown: 20 days!). It’s my birthday month, and I milk it as much as possible. I want to celebrate with each and every one of my family and friends, and I’d like to think I use my birthday as an excuse to catch up with all of them. Furthermore, I’m also celebrating each of them and what they all mean to me in my years of existence. It ought to be that way as much as possible. I went walking around Storm King on Saturday, and I would’ve enjoyed the breathtaking views and perfect crisp autumn weather on my own. But enjoying them with friends made it even better. We’ll all be gathering for Thanksgiving meals tomorrow, and inhaling all the turkey, mashed potatoes, stuffing, lasagna (a Koo Thanksgiving tradition), and apple pie tastes a lot better with family. So, don’t celebrate alone. Find someone to rejoice with, to savor together, and to be jointly thankful. Each celebration is actually a means to an end. We must remember that “every good and perfect gift is from above, coming down from the Father of the heavenly lights, who does not change like shifting shadows” (James 1:17, NIV). God is the one that affords us each moment of rejoicing, and we best recognize the source. We have come to the principal benefit of celebration: Each time we do so, it brings us closer to God. 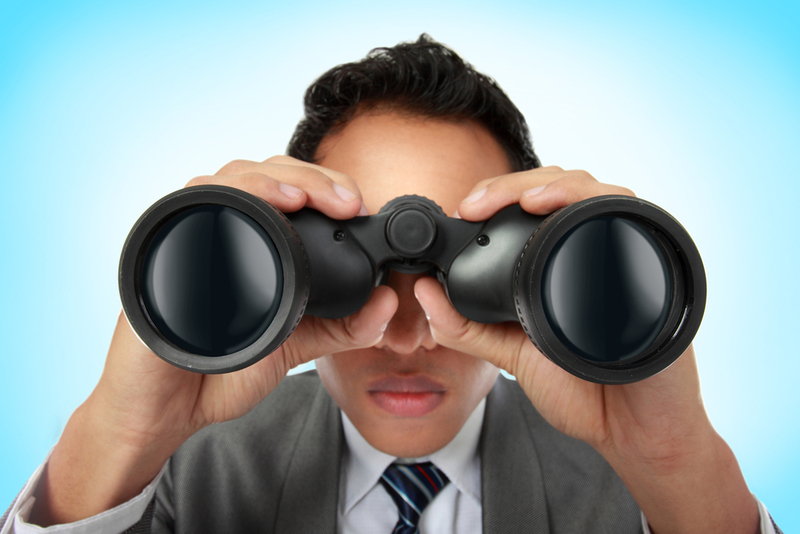 It provides a better lens with which to see what God is doing in our lives. It turns our gaze heavenward, when we’ve been keeping our heads down for far too long. The City of God becomes more of the reality that it actually is. Life’s too short not to be savored and enjoyed and celebrated. And looking to do it, and then doing it, keeps us sane and keeps us level. It’s also a tremendous disinfectant against jadedness and disillusionment. So with Thanksgiving tomorrow and the homestretch of 2016 in front of us, let’s seek to celebrate, enjoy, and savor as much as possible. Here’s the intro and Part I of this “What Children Teach Us” series. -Tim Challies on the link between thanksgiving and joy. -Yes, we are broken, but we can be thankful still. -Now’s a good time to evaluate our generosity: Does it come with expectations? -If you’re struggling with ingratitude, read this. Have a great Thanksgiving everyone! Thankful for all of your support! First, a plug for the Scripture Typer app. I use it regularly to memorize Bible verses. It’s awesome. I love it. Try it. It’s free! We continue our look at Psalm 103 (Past entries: Part 1, Part 2a, Part 2b, Part 3, Part 4). We’ve been looking at this psalm as a progression that gets better and better. We are now at verse 4. God forgives all our sin, and then heals all our diseases. Now we get to the pit. Still, on June 5, Kamaliyah was a long way from having sewers, which meant that the trenches were filled to their rims as a convoy pulled out of the COP on a lights-out mission to rendezvous with an informant. “Go right! Go right!” one of the soldiers in the last Humvee yelled to a driver, who was fiddling with his night-vision goggles, or NODs, as they rounded a corner, but it was too late. The Humvee began to slide into the trench. Then it flipped. Then it sank. Then it began filling up. We’ve all felt like that gunner throughout the seasons of life. Trapped by despair and our insecurities. Wondering why we have to suffer, and if there’s really any meaning to it. Feeling like we’re sinking little by little, with hope slipping away. In the case of the chosen people, who for nearly seventy years had been strangers in a strange land, and had drunk the cup of bitterness to is dregs, there was thus added weight to their sorrow–the conviction of their captivity being the result of their own impenitence and transgression. This is the bitterest of all–to know that suffering need not have been; that it had resulted from indiscretion and inconsistency; that it is the harvest of one’s own sowing; that the vulture which feeds on the vitals is a nestling of one’s own rearing. Ah me! This is pain! Down he went, into the crew compartment, where the gunner was stuck in his harness straps, his head partly in the sewage water, which continued to seep in. Enriquez got one arm around the gunner and lifted his head higher, and with his other hand began cutting away the straps. Now he and the gunner were nearly submerged as he pushed the straps away and began pulling at the gunner’s body armor away. He squeezed his eyes shut. He wondered how long he could hold his breath. He felt for the gunner’s waist and began pulling. Everything was slippery. He tried again. He got the gunner to the door. He kept pulling, and slipping, and pulling, and now they were out the door, out of the Humvee, out of the sewage, and up on the bank, and that’s how this month of hopeful signs began for the 2-16, with two soldiers wiping raw Iraqi sewage out of their eyes and ears and spitting it out of their mouths. That’s what Jesus does for us. He got down into the poo water, and emerged victorious. He paid the price that we couldn’t pay, he endured the physical suffering and relational severance that we couldn’t bear, he descended into hell so that we would never have to dwell there. 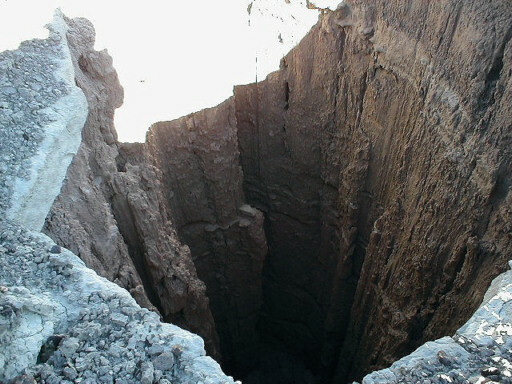 He went down into the deepest, darkest pit so that he could forever lift us up: from literal hell, but also from the pit of hopelessness, of meaninglessness, of helplessness. But, but, wait… there’s more! One way the devil attempts to discourage us is by saying this: “Well, so you got out of the pit, you got out of the burned-down house. But where you gonna go now?” So we immediately get down all over again, thinking about the next steps and the so-called uncertainty that lies ahead, and we fall back into anxiety and worry. But hello! We just got redeemed from the pit and saved from hell!!! We actually have so much to look forward to, but instead we choose to ruled by fear, bemoaning what we can’t control. The good news is that not only does God save us, he also then crowns us… More on that next time. 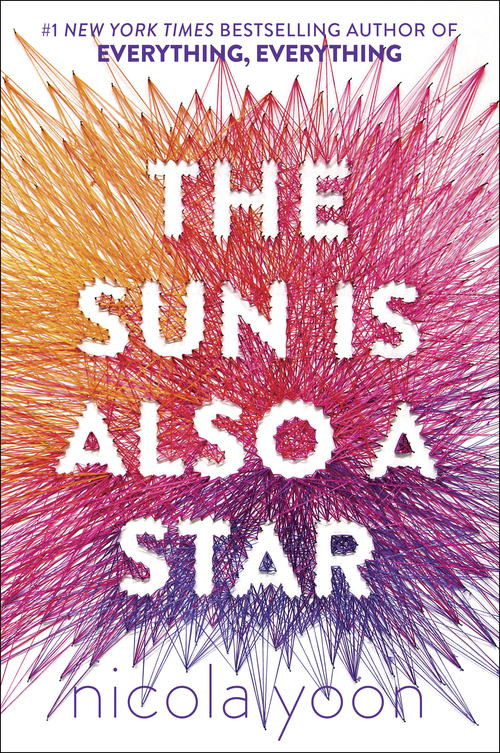 I finished Nicola Yoon’s The Sun Is Also a Star last night. I absolutely LOVED this book. The two main characters are Daniel, a Korean high school senior whose parents want him to go to Yale, and Natasha, a Jamaican who is trying to fight off her family’s impending deportation. They happen to run into each other on this fateful day (the novel basically spans only one day). Daniel is the poetic, sensitive type while Natasha is the already jaded, science-driven one who is all about the data. So yes, it can be a cheesy opposites-attract story at times. But Yoon interposes her narrative with delightful historical and cultural insights, and her ending is pitch perfect. Certainly, if you’re Korean, you’ll enjoy it even more (they spend quality time at a noraebang, naturally). There was a big smile on my soul, mixed with a tinge of pathos, as I read and finished this book. I enthusiastically recommend it. Bravo, Pete. Perhaps he learned something from that kick (the look on his face as he watches the miss is priceless), and there may be hope yet for NFL coaching.